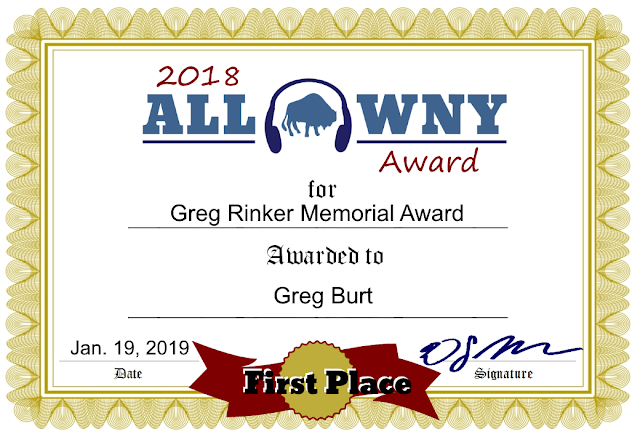 Congratulations to Greg Burt, winner of the Greg Rinker Memorial Service Award, given to the person who best embodies the positive spirit of the Western New York music community. Greg Burt is a concert promoter, music supporter, sound guy and musician, carrying on many of the same traits and hobbies of Greg Rinker, who served as the sound engineer at Evening Star Concert Hall and was a friend to all in the Western New York music community. Honorable mentions in this category to go Corina DeFabbio, Dewey Richbar, Joe Kent and Marty Boratin. 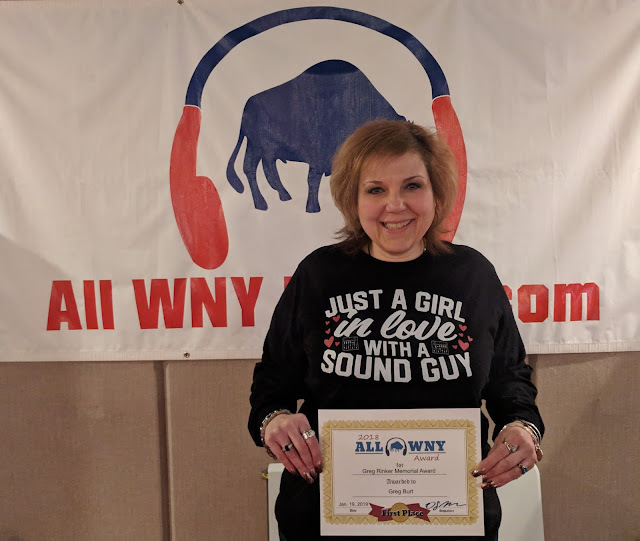 Rinker's girlfriend, Kimberly Pawlowski was on hand at the 2018 All WNY Awards Ceremony to present the award and say a few words about Greg.